1. There was an original form of government used by the United States under an initial constitution, the Articles of Confederation, a unitary structure that consisting of a unicameral Congress that included officers such as a president, a chair, and a secretary. Between 1774 and 1788 there were 14 separate men who held the title of "President" before George Washington, going back to the First Continental Congress. 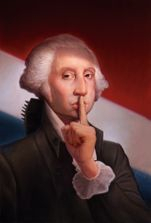 This first type of United States government, and the presidents who served before Washington, are mostly ignored. 2. The unicameral version of Congress met in eight cities before Washington, D.C.: Philadelphia, Baltimore, Lancaster, York, Princeton, Annapolis, Trenton and New York City. Thus, all eight of these cities served as capitals of the United States. 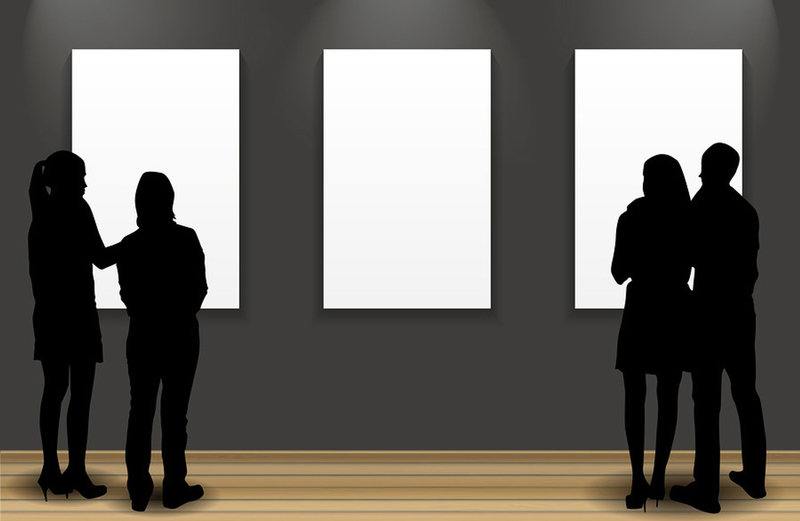 However, in not one of these capital cities does there exist a place where people can study this history through exhibits, films, live performances and other public events. 3. The handwritten Treaty of Paris signed in France by John Adams, John Jay and Benjamin Franklin is a separate document from the printed, ratified Treaty of Paris Proclamation. It was the ratified version that was signed in Annapolis by President Thomas Mifflin and Secretary of Congress Charles Thomson, then embossed with the seal of Congress and shipped back to France. It was then exchanged with Britain's ratified version in order to bring the war to an official conclusion. 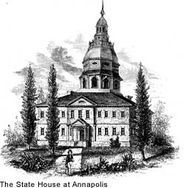 Thus, Annapolis is known for the ratified version, not the handwritten version, although most people don't know that the handwritten and printed versions are two separate documents. 4. 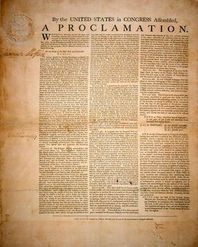 The 1783 Treaty of Paris not only ended the Revolutionary War; it also began the Treaty of Paris Period, a four year, frantic effort to raise the huge sums of money necessary to pay both the foreign creditors named in the Treaty (Great Britain, France, Spain and the Netherlands) and the American soldiers who had not been paid in full for their service during the war. Many of these soldiers later took part in Shays's Rebellion. The Treaty of Paris Period ended when the Constitutional Convention began in Philadelphia, which created a new Constitution giving Congress the power to raise the funds necessary to pay the nation's debts. The first bicameral Congress from 1789-91 paid off the debts of the American Revolution. 5. There were two important steps taken during the Treaty of Paris Period that led to the third and final step, the 1787 Constitutional Convention in Philadelphia. The first two steps took place at Mount Vernon in Virginia in 1785 and at Mann's Tavern in Annapolis in 1786. 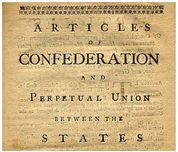 These preliminary meetings between several of the states led to Congress calling for a third meeting in Philadelphia that became the Constitutional Convention. 6. 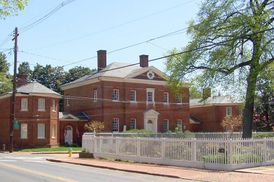 Annapolis played the dominant role during the Treaty of Paris Period. The Maryland State House hosted Congress from 1783-84, during which time General George Washington resigned from the Army as Commander-in-Chief; the Treaty of Paris was ratified; Delegate Thomas Jefferson authored what would become the Northwest Ordinance and then was appointed to France as a minister (eventually becoming Ambassador); and John Jay was appointed Secretary of Foreign Affairs. After Congress left Annapolis in 1784, Annapolis resident Samuel Chase took part in a Maryland delegation that met Virginia representatives in Mount Vernon in 1785 to discuss the use of the Potomac River. 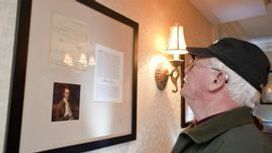 After the Mount Vernon Compact was signed, Annapolis hosted a meeting in 1786 between five states that evaluated the Articles of Confederation and concluded that under this document, Congress would not be able to pay the nation's debts. Their report to Congress, written by Alexander Hamilton and assisted by James Madison, called for another meeting in 1787 in Philadelphia to be attended by all of the states. Thus, Annapolis served as a Bridge, connecting the Revolution to the Constitution. 1. An online website of portraits for each of the 14 Forgotten Presidents Before George Washington. 2. The "14 Forgotten Presidents Before Washington" lesson plan and accompanying slide show. (to be used together). 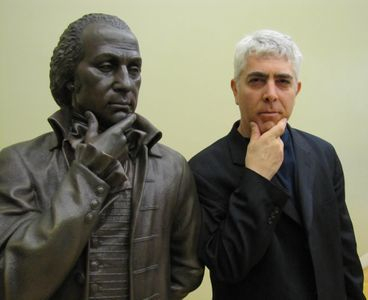 The importance of the First American Republic is stressed and explained. 3. 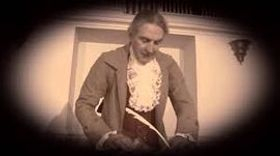 The Treaty of Paris Period (1783-87), a 15-minute film produced by Rhonda Wardlaw at Annapolis City TV. 4. A comprehensive Treaty of Paris Period online chronology, with video clips and images. 5. 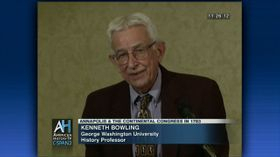 Treaty of Paris Period lectures on C-Span by scholars and experts on the history of the First American Republic. 6. The major newspaper and magazine articles written about our project all across the country. 7. A catalog of Treaty of Paris Period replica documents. 8. 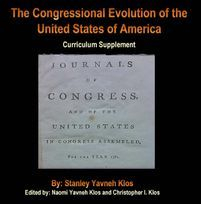 The Congressional Evolution of the United States high school curriculum designed by Stanley Yavneh Klos, President of the Historic.us Corporation. 9. 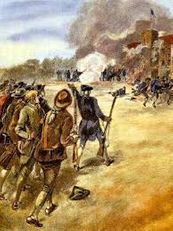 Ten minute Youtube clips designed by Stanley Klos covering the First American Republic in a fun, enjoyable, and informative manner. 10. An online "Secrets of American History" quiz that you can give your students covering 14 key dates within the Treaty of Paris Period. 1. Our exhibit at the Westin in Annapolis. 2. 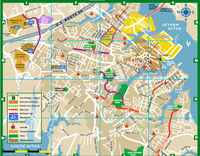 The self-guided Treaty of Paris Trail through the historic district of Annapolis, including the site of Mann's Tavern. 3. 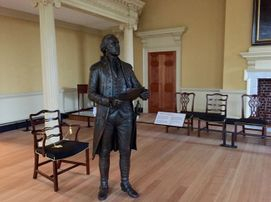 The Maryland State House in Annapolis, with its redesigned Old Senate Chamber and exhibit focusing on the resignation of General George Washington as Commander-in-Chief, a selfless act that led a permanent civilian government in the new United States. 4. The Banneker-Douglass Museum in Annapolis, where the colonial and post-war slave trade is explored and analyzed within the entire history of African Americans living in Maryland's capital city. 5. The Hammond-Harwood House in Annapolis, the jewel of Annapolis and one of the largest premier colonial houses remaining from the British colonial period..
6. 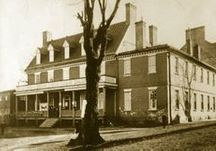 Right across the street from the Hammond Harwood House, the Chase Lloyd House was one of the first brick three-story Georgian mansions to be built in the British colonies. 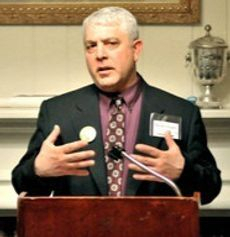 Mark Croatti is available to come to your school and talk about the Treaty of Paris Period and/or take your class on a hike of the Treaty of Paris Trail. 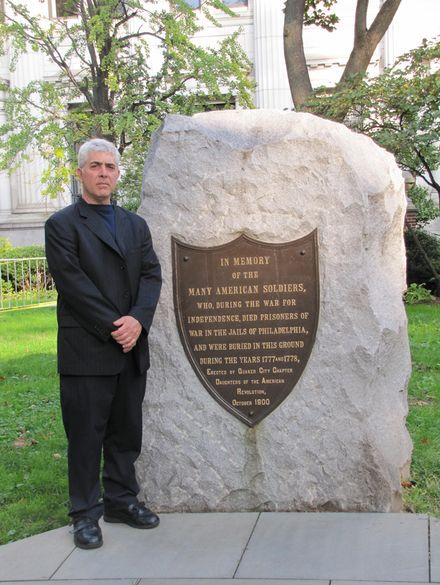 Want to book a talk at your school or a tour of the Treaty of Paris Trail? TEACHERS, it is up to you to choose a way to bring the First American Republic back to life for your students. How long will your students continue to believe that there has only been one constitution or that there were no presidents before George Washington?